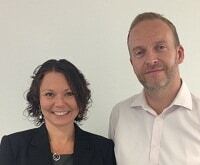 Stuart Gillespie, founder of recruitment company G2 Legal, has set up a commercial law alternative business structure with his in-house solicitor, Lucy Tarrant. 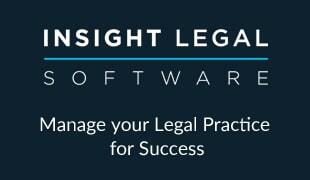 They are partners in Cognitive Law LLP, which aims to recruit other lawyers to work as consultants on a fee-sharing basis remotely from locations across the UK. In a statement, Cognitive said Mr Gillespie and Ms Tarrant would combine their “legal and commercial expertise” to form a niche commercial law firm. The statement said Mr Gillespie was a “highly successful and entrepreneurial business owner”, and director of two companies which had grown substantially under his leadership – G2 Legal and Skillsearch, an IT recruitment specialist. G2 Legal describes itself as one of the UK’s largest privately owned legal recruitment companies, with offices in Brighton, Birmingham, Bristol, Leeds, Manchester, London, Edinburgh and Glasgow. Ms Tarrant is the COLP and COFA of Cognitive Law, which was awarded an ABS licence by the SRA last month. Ms Tarrant, formerly the in-house solicitor at G2 Legal, said Cognitive was still building its website, and only then could a recruitment drive begin, but this would happen before the end of the year. “We have access to some superb candidates, but we haven’t put the feelers out yet,” she said. Ms Tarrant, a partner at Sussex firm Mayo Wynne Baxter until October last year, said the process of obtaining an ABS license from the Solicitors Regulation Authority had taken only two and a half months – much quicker than expected. In the statement, Cognitive promised lawyers: “Consultants will be required to have their own significant client following, but that’s all they will need.